The Bath & Counties Archaeological Society (BACAS) is an active local society, with a range of activities and interest areas. Our goal is the promotion of archaeology in all its branches. BACAS engages in excavations and investigations of general archaeological interest, and encourages our members to undertake their own projects, which we are happy to support. We have a highly active geophysics group, which is constantly adding to the understanding of the local archaeological remains. We also have a regular programme of lectures and excursions, which covers periods from the Neolithic to World War II. Since its inception the Society has led, or been involved in, many exploratory and training excavations and has had an extensive role in the preservation of historic sites and antiquities in Bath and the surrounding area. The Society publishes an annual journal ‘Camertonia’ packed with articles about current projects and other items of interests to members. Newsletters are mailed out during the year, to keep members up to date with activities. BACAS runs a summer members’ dig most years. Recent excavations have been on an 18th century ornamental hermitage, a Roman villa in Keynsham, and a suspected Roman settlement in Saltford. Prior members’ training digs have been held on a multi period site near Laverton in Somerset and more recently on a Romano-British site near Frome. 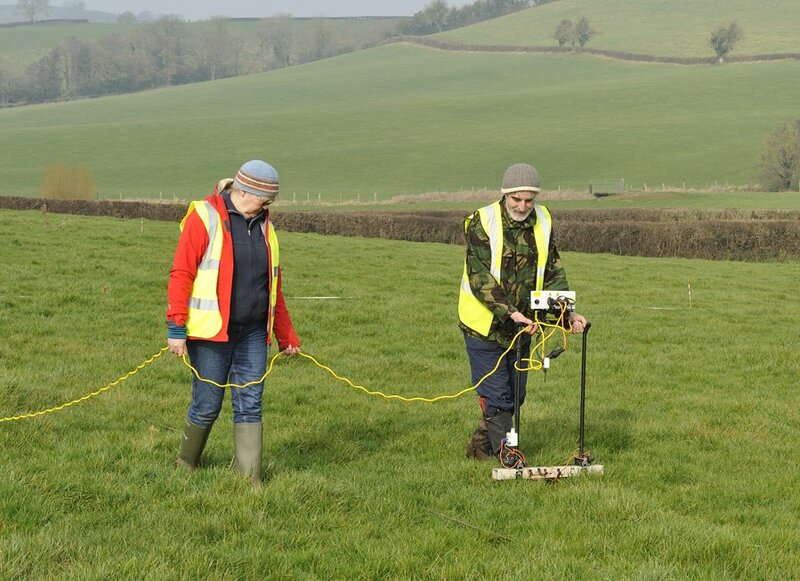 Meanwhile, regular geophysics projects around Bath always need volunteers and all members are welcome to contact us: see information on the Geophysics page. If you’re asking, “Why is the journal called ‘Camertonia’?” you can read about the Society’s background on the History of the Society page. Any correspondence or questions about the Society may be emailed to office@bacas.org.uk. Membership enquiries: click on Membership. BACAS is an active and friendly society for everyone interested in the archaeology of Bath and a large distance around. We have a programme of lectures and excursions for members, together with newsletters and a journal, Camertonia. We carry out excavations and have a high reputation for our geophysics surveys. BACAS is ready for Brexit! © 2017-19 Bath & Counties Archaeological Society is a registered charity in England and Wales (no 274837).